One of the challenges you make when planning a visit to Sipadan Island is to choose which accommodation to stay at. Not all accommodation has allocated permits to bring visitors to Sipadan. If you only want to visit the other nearby islands, then these permits are not required. We think you’ll love this infographic we put together from our data and verified it with the listed accommodation to help you decide where to stay. Sipadan Island is the only oceanic island in Malaysia. Because of this, you will likely see oceanic pelagic fish here compared to the other nearby islands where you will see more reef pelagic fish. The usual suspects you will encounter here include the Chevron and yellow fin barracudas, Trevallies, Green and hawksbill turtles, Bumphead parrotfish, White tip, black tip, grey tip sharks, Potato head groupers and more. Almost all resorts are located on Mabul, Kapalai and Mataking Islands. The gateway to Sipadan Island is through Semporna town and the nearest airport to Semporna town is Tawau Airport (IATA: TWU). A travel time from Tawau Airport to Semporna is about 90 minutes and from Semporna to your resort is around 45 minutes by boat. There are direct flights via Malaysia Airlines and AirAsia to Tawau Airport from Kota Kinabalu International Airport (IATA: BKI) and Kuala Lumpur International Airport (IATA: KUL). Tip: Choose your flight to arrive early at Tawau Airport so that you can catch the first boat transfer to your resort. On departure, choose the afternoon flight so that you have time to off-gas between your last dive and your departure flight. The best time is during the dry season which is from March to October. High period is in July, August and first week of October. Which Resort Should I Consider? Permit availability and turnaround times – How long you have to stay before you get a chance to visit Sipadan Island. Other locations – Which other destinations does the resort bring you besides this island. Voodoo Gas (EANx Nitrox) – For those who want to dive Nitrox. Price Category – What kind of budget do you want to put aside for the dive trip. Each day, there is a quota of 120 permits issued by Sabah Parks, the government authority charged with protecting our unique heritage. Diving at other nearby islands will not require these permits. These 120 permits are allocated to 12 resorts operating in the area based on the size of the resort. The permits are not allocated to individuals directly. Application of these permits is through the resort that you are staying at and the resort will assist with this. The “big 4” resorts that have the biggest allocations are listed below. They account for 46.7% of the permit allocation. As you would have guessed, there will usually be more divers wanting to come here than there are available permits each day. The turnaround times listed below are based on the resort claim backed by our booking data and visitor feedback. Borneo Divers Mabul Resort – 5 days 4 nights; dive once. Additional permits can be purchased subject to availability. MV Celebes Explorer – dives every day except Sunday. Mabul Water Bungalows – 6 days 5 nights; dive once. Additional permits can be purchased subject to availability. The Reef Dive Resort – 3 days 2 nights; dive at least once, but pre-booking is required. Seaventures Dive Rig – 4 days 3 nights; dive at least once. Sipadan-Kapalai Dive Resort – 4 days 3 nights; dive at least once. Advance booking of permits highly recommended. If you have less than 15 logged dives, you may be subjected to buoyancy skill test. Sipadan Mabul Resort – 6 days 5 nights; dive once. Additional permits can be purchased subject to availability. This does not apply to the semi-detached chalets. For semi-detached chalets, your chances of visiting Sipadan will depend on available permits not assigned to anyone else. Sipadan Water Village – 6 days 5 nights; dive at least once. For the resorts in the small budget or backpacker category, we do not have any booking data and visitor feedback. You will have to do your own research. What If I Stayed a Shorter Duration? 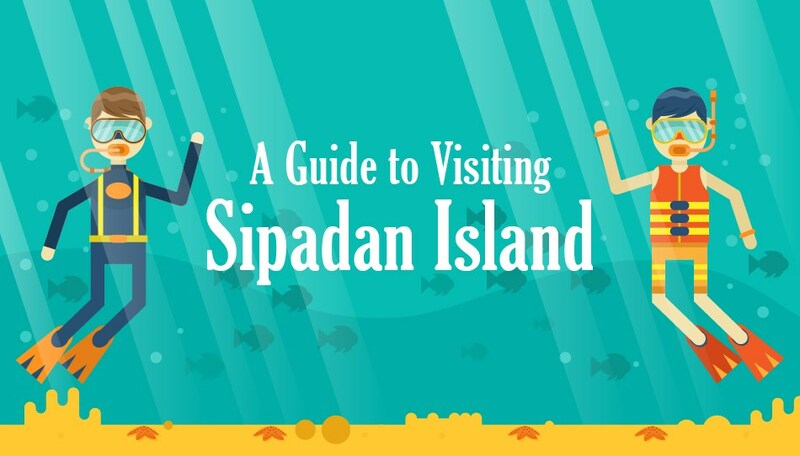 For shorter stay, your visit to Sipadan Island is not guaranteed. Permit availability will depend on available permits that have not been allocated to others that are staying longer. Your chances are higher during the low period and almost nil during the high period. It is hard to predict when the high and low periods are as it varies year to year. Even for low period, there could be a week where the resort is full and if you happen to be there in the week and not staying the minimum turnaround time, you may lose out. But generally, the few days around New Year, July, August, first week of October and Christmas period are considered to be in the high period. Are the Other Islands Worth Diving? There is a lot to offer for muck diving and lots of macro life to discover in the other islands such as Mabul and Kapalai. Many divers return and don’t mind opting out of Sipadan so they can spend all their time looking for macro life which is just as rewarding. Here is a list of locations that these resorts go to. Borneo Divers Mabul Resort – Mabul and Kapalai Islands. MV Celebes Explorer – On Sundays, around Semporna such as Timbun Mata, Tun Sakaran Marine Park. Other days, sometimes Mabul Island if everyone needs a break from barrudas, trevallys and turtles. Mabul Water Bungalows – Mabul and Kapalai Islands. The Reef Dive Resort – Mataking, Pandanan, Bohayan, Kalapuan, Timba Timba and Pom Pom Islands. Seaventures Dive Rig – Mabul and Kapalai Islands. Sipadan-Kapalai Dive Resort – Mabul and Kapalai Islands. Sipadan Mabul Resort – Mabul and Kapalai Islands. Sipadan Water Village – Mabul and Kapalai Islands. Most resorts offer Nitrox in order for you to extend your bottom time. Only one resort in the list does not offer EANx Nitrox. We break down the room price category into the following: exclusive, upper midrange, midrange, and small budget. For single travellers, some resorts will impose compulsory single supplement charges while others are optional. Single supplement charges vary between 30% and 50% of the package price. If you choose not to pay single supplement at a resort that offers optional single supplement, you may have to share room with another person. Borneo Divers Mabul Resort – Optional. Additional land and boat transfer fees may apply if you are the only person travelling in the vehicle or boat. MV Celebes Explorer – Optional. Mabul Water Bungalows – Optional with the exception of the Borneo Villa, Bougainvilla and Royale Suites. It is compulsory for these two suites. The Reef Dive Resort – Compulsory. Additional land and boat transfer fees may apply if you are the only person travelling in the vehicle or boat. Seaventures Dive Rig – Optional. Additional land and boat transfer fees may apply if you are the only person travelling in the vehicle or boat. However there is one scheduled transfer where you will not have to pay for additional land and boat transfer. Sipadan-Kapalai Dive Resort – Compulsory. Sipadan Mabul Resort – Optional. Sipadan Water Village – Compulsory. If you have a group arriving and departing together, you will be eligible for a group discount. Borneo Divers Mabul Resort – for a group of 11 persons, the 11th person will only have to pay for conservation and jetty fee, but stay for free. MV Celebes Explorer – Special Rate for group of 6 or more persons. Mabul Water Bungalows – for a group of 11 persons, the 11th person will only have to pay for conservation fee, but stay for free. The Reef Dive Resort – for a group of 11 persons, the 11th person will stay for free. Because The Reef Dive Resort is located far away, boat transfer fees may apply. However, if your group plans to stay at least 5 days 4 nights, then your group may be entitled to a free boat transfer for a day trip to Sipadan, Mabul or Kapalai Island. Seaventures Dive Rig – for a group of 10 persons, the 10th person will only have to pay for conservation fee, but stay for free. Sipadan-Kapalai Dive Resort – for a group of 10 persons, the 10th person will only have to pay for jetty fee, but stay for free. Sipadan Mabul Resort – for a group of 11 persons, the 11th person will only have to pay for conservation fee, but stay for free. Sipadan Water Village – for a group of 11 persons, the 11th person will only have to pay for conservation and jetty fee, but stay for free. Conservation fee for jetty is collected at Semporna jetty at MYR10.00 per person. All the resorts featured here welcome snorkellers, but some will bring you out on the dive boat for snorkelling while others will only let you snorkel around the resort. Sipadan-Kapalai Dive Resort – around the resort only. Sipadan Water Village – only once out on the dive boat. The rest will be around the resort only. Borneo Divers Mabul Resort – will also bring snorkellers to Sipadan Island, but priority will be given to divers when applying for permits. Early pre-booking recommended. Sipadan-Mabul Resort – will also bring snorkellers to Sipadan Island, but priority will be given to divers when applying for permits. Early pre-booking recommended. Mabul Water Bungalows – will also bring snorkellers to Sipadan Island, but priority will be given to divers when applying for permits. Early pre-booking recommended. For Honeymooners, here are the resorts we feel have a romantic ambience and scenic views. Some also have honeymoon packages specifically for honeymooners. + Nice muck diving house reef. + Suitable for families with young children. + If all you want to do is dive at Sipadan Island and don’t mind living in small quarters. + With only a small number of bungalows and suites, this resort offers a lot of privacy. + Great food. Chef Wong has many years of experience serving in International 5 star hotel. + One of only 3 resorts taking divers to explore the Turtle Tomb cavern. + Located over water but has easy access to Mabul Island and sister resort Sipadan-Mabul Resort where you can use the swimming pool and Jacuzzi. + Popular with honeymooners especially the Borneo Villa Suite with outdoor Jacuzzi. + Suitable for non-divers and young children. + Spa and children’s playground. – Resort located further away. Boat ride will take about 80 minutes to get here from the resort. + Bedroom, lounge, eating area, dive centre and bar is conveniently nearby each other. + Best honest food from a talented local chef. + Offers technical diving courses and one of only 3 resorts taking divers to explore the Turtle Tomb cavern. – Not very suitable for families with young children. + Large beautiful and breezy rooms. – This resort recommends that you have at least 15 logged dives before they apply for your permits. + Best food in this price category. + Nicest and large beach front with a lot of shaded areas from coconut tree fronds. + Suitable for families with young children. Experienced staff can help with taking care of young children while you go diving.